This has been coming for a while, but the time has finally come to ‘announce’ our second character. We have previously given some sneak peaks of his concept artwork and we also showed spriteless gameplay, but we’re proud to present his finished base sprite! Ushah is a fast-paced grappling character that employs his steam cannon to shoot short range projectiles. He also uses his metal arm to hit his opponent with powerful armored normal attacks. 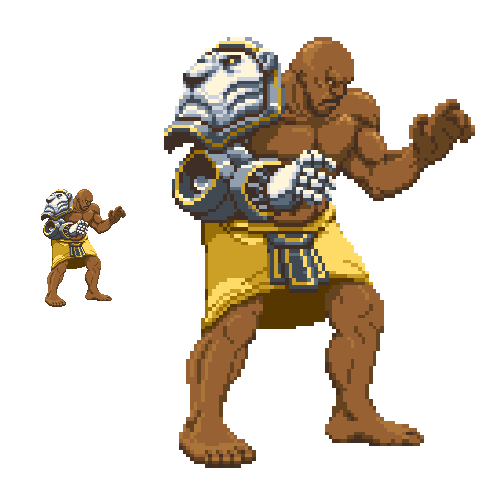 Ushah can be used as a fast and aggressive grappler, but also as a methodical wall of normals, keeping the opponent just where he wants them (in the corner!). We’re currently planning out the visuals of his moves. 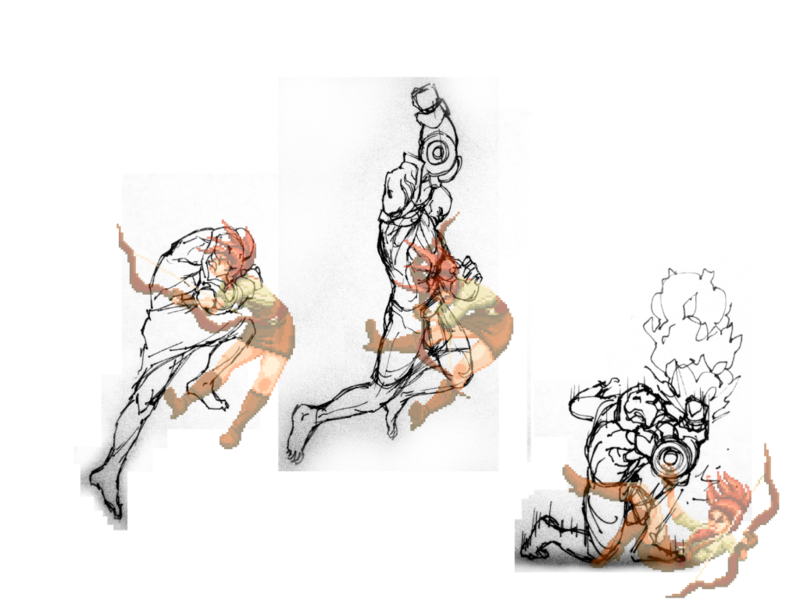 Here’s a concept drawing of Ushah using his command grab on our first character. This entry was posted in Characters on December 7, 2015 by Marijn.